Many voices are warning that our healthcare system is near crisis. Most recently a documentary called “Escape Fire” made me wonder if a different approach to insurance could begin to turn things around. 1) We are spending twice as much on healthcare as any country on earth and rank 50th in life expectancy. 2) We have a disease management system dedicated to suppressing symptoms rather than healing. 3) Fee-for-service medicine compels physicians to order more tests, prescribe more drugs, and do more procedures than are necessary, driving costs up and putting patients at risk. 4) If we don’t do something, the rising cost of healthcare will bankrupt the country. 5) The manufacturers of medical devices, the insurance companies, and the pharmaceutical industry invest billions in political campaigns and lobbying to deter Congress from legislating needed reforms. 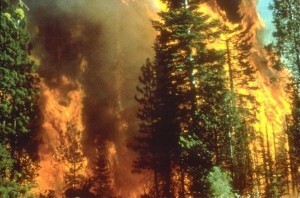 The documentary’s title, “Escape Fire,” creates a brilliant image of the danger of runaway costs. 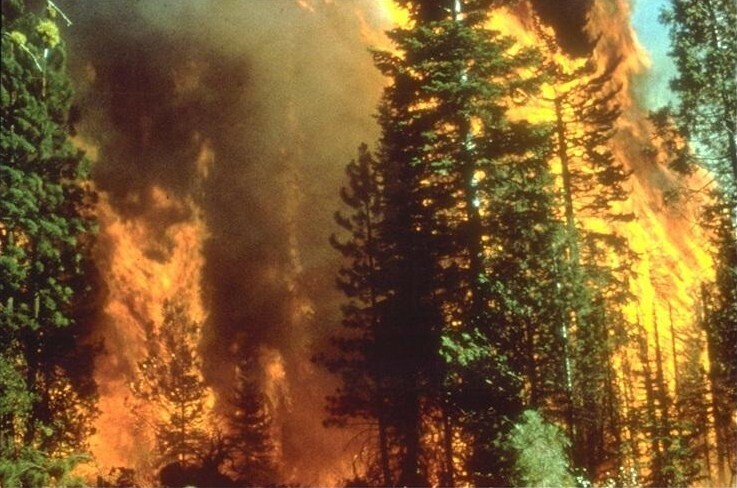 Back in 1949, a forest fire erupted in Mann Gulch, Montana. In the space of ten minutes during its blow-up phase, it engulfed 3,000 acres. Wag Dodge, the leader of a crew of fire fighters, realized that they would only survive if he lit a fire between them and the oncoming conflagration. Wag called to the men to join him as he crouched down in the burned safe zone, but they tried to outrun the fire instead. All 13 perished. Wag survived with minor injuries. “We are Mann Gulch,” one of the speakers in the documentary said. The fire is roaring. We have been warned of the danger, and like Wag Dodge, we need to act quickly. “Escape Fire” makes it very clear that our focus—the focus of the people—needs to drive change, and that focus has to be on creating health. Poverty as well as overeating, drinking, smoking, and other poor lifestyle choices are often at the bottom of very dangerous medical issues. But how can this change, when our system doesn’t support medical education? I have an idea. In your imagination, anything is possible, so I’ll just go with it for a minute. One thing that will probably never change in America is our interest in money. What if everyone learned that investment in health could be financially rewarding? The more money we made from it, the more interested in and committed to health we would become. So let’s imagine a Health Investment Bank. Say that at age 18, each individual is notified that he or she has a $100,000 account in this bank to be used for medical care. It comes with a credit card for paying approved providers. At the age of 40, that individual will receive, in cash, the unused balance. At the same time, their account will be funded by an additional $100,000. At age 65, they can again draw down the balance. I just plucked the figure out of the air, but it would be based on reasonable medical costs for a reasonably healthy person. From the get-go, however, the individual has a financial interest in not needing to draw down against the account. In addition to embracing healthier lifestyle choices, he or she might closely monitor charges, which is not happening now. Of course, the Health Investment Bank would want to become best friends with clients, providing information about wise decisions, etc. They might also educate clients about ways to enlarge their accounts with interest-earning savings. For example, say a young man who is a heavy smoker decides to put in the Bank the $120 a month he would otherwise invest in cigarettes. How much would that be worth when he’s 40? But all the money those on the diabetes track would save is even more impressive. It is estimated that in a few decades about 20% of Americans will have diabetes. At the moment about 8% have been diagnosed with it, and the average cost, according to the American Diabetes Association, is $10,000 per year. When you look at that cost, a $100,000 account is tiny. If you don’t have diabetes, it is a lot. Just from this one example, it is clear that the Health Investment Bank could, if it stimulated interest in healthy living, save the country billions and billions of dollars in medical care. It would also give clients a sense of prospects, of potential, of a windfall twice in their lives if they have reasonably good genes and live well. There would be one caveat, however. The Bank must never go public. Once a healthcare corporation goes public, then it is the shareholders who matter most, not the patients. The need to keep shareholders happy is a large part of the problem we have now. Anyway, the Health Investment Bank idea is designed to help dislodge the status quo. I wish it had been in effect when I was 18, but then we didn’t need it back then. It’s now time to get creative.